Valerie Astier, who produces the annual Pink Rosé Festival in Cannes, France, told the drinks business that, while producers in regions with an established winemaking culture such as Bordeaux or Bourgogne are bound by certain viticultural, vinification or labelling practices, wineries making rosé wine do not face the same challenge of consumer expectations and are able to innovate. “Of course, some places such as Provence have a very long history of making rosé, but overall we feel there’s more liberty, and more freedom for producers in this category,” Astier told db. According to a recent report jointly published by FranceAgriMer and the Interprofessional Council of Vins de Provence, global still rosé wine consumption has grown steadily for the past 15 years (+28% between 2002 and 2017) with a very slight slowdown between 2016 and 2017. This stabilisation, Astier said, hides many differences depending on the rosés types such as in the USA (second largest world rosé consumer) where the blush rosés are slowly replaced by dry ones. And while the biggest rosé consumers are France and the USA, the market in Asia is still small, but there are signs of future growth. In China, rosé wine sales are meagre, but they are forecast to increase by over 36% by 2019, according to estimates by Vinexpo. When it comes to marketing, rosé wines certainly have something of an upper edge compared to their counterparts. Rosé wine has been one of the biggest success stories of the industry in the 21st century. At the start of this century, rosé was hardly considered a serious drink, and it wasn’t a celebrity-endorsed category, but since 2002 it has become both, with A-list stars such as Angelina Jolie and Brad Pitt, Sarah Jessica Parker and Jon Bon Jovi launching their own labels. Famous for off-dry orangey pink offerings from the likes of Portugal and California at the start of the millennium, now it is the height of sophistication to sip bone-dry rosés, primarily from Provence, and especially in large formats, which is reflected in the French study. Capitalising on the growing global thirst for rosé, the Pink Rosé Festival welcomes thousands of producers, buyers and hospitality professionals from across the globe. The event follows a similar structure to Prowein in Dusseldorf. At Pink Rosé Festival, each producer has a minimum of 16 appointments, each one lasting 30 minutes and is held over two full days with a set schedule, enabling both the producer and buyer to meet according to their pre-set agendas. Astier told db that, ultimately, the aim for the Pink Rosé Festival is collate more studies on rosé wine sales and consumption from other nations where production is significant, such as Italy and the US. “We want to be a platform for the rosé market,” she said. While the festival already provides an opportunity for producers and buyers to convene, the festival group’s ambition, she said, is to create a universal information database for rosé producers as consumption continues to rise in other parts of the world and shift from sweet blush styles to bone-dry and age-worthy expressions. 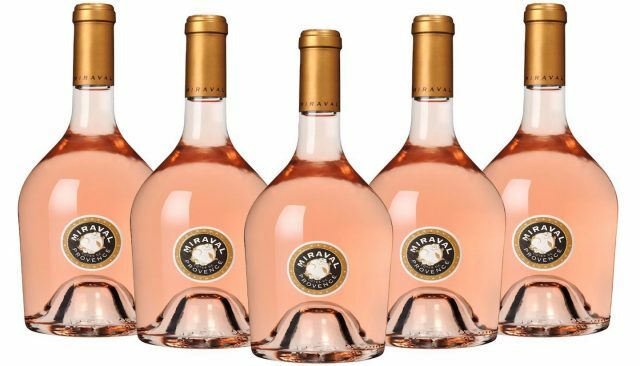 Transparency is one of the major trends in the rosé category when it comes to product packaging, not only with the bottles themselves but also in the use of closures, Astier said. Each of the top three winners (Cuvée Irrésistible – Vignobles Jolivet from Bordeaux; Cuvée Roseline Prestige – Château Sainte Roseline from Provence and the Cuvée Grezan – Château Grezan from Faugères) used glass caps, creating “spectacularly transparent” effects.